We offer a variety of patio cover options in Toronto, Vancouver and across Canada because every patio, backyard, home and neighbourhood is unique. We can custom design a patio cover solution that works perfectly for you and your home! Pergola sun shade for existing pergolas. In addition, we have options within these product groups, including tints, framing material, shape and support systems. A glass patio cover often works best when you want maximum sunlight but protection from rain and snow. With its clean lines, our glass patio covers look sleek, clean and elegant. If summer heat is a concern, our acrylic patio cover protects against hot and damaging UV rays while allowing light to filter through. These acrylic patio covers have little in common with plastic patio covers that turn yellow and brittle over time. Our acrylic patio panels are engineered in Germany. They’re durable, low maintenance and can stand up to harsh conditions for years and years. Both our glass and acrylic patio covers are available in a variety of tints. 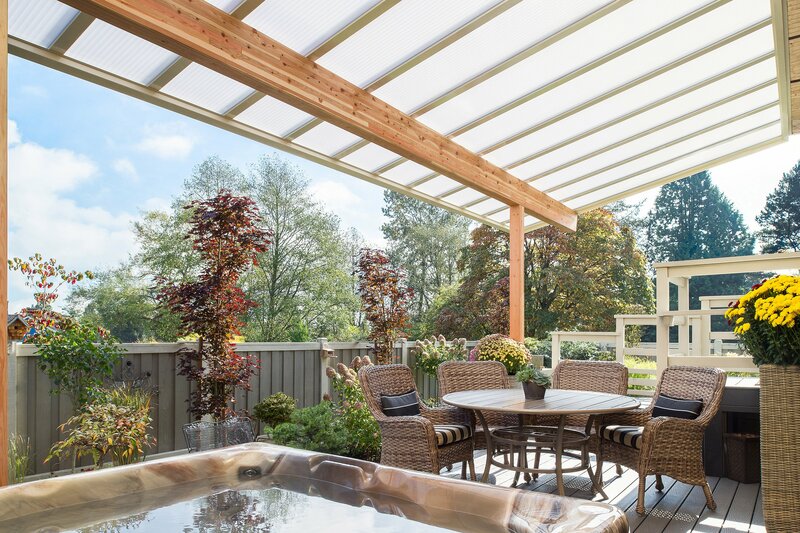 The aluminum frame for our glass patio cover was designed and engineered in Finland, where the ability to stand up to harsh winter and summer weather is critical. 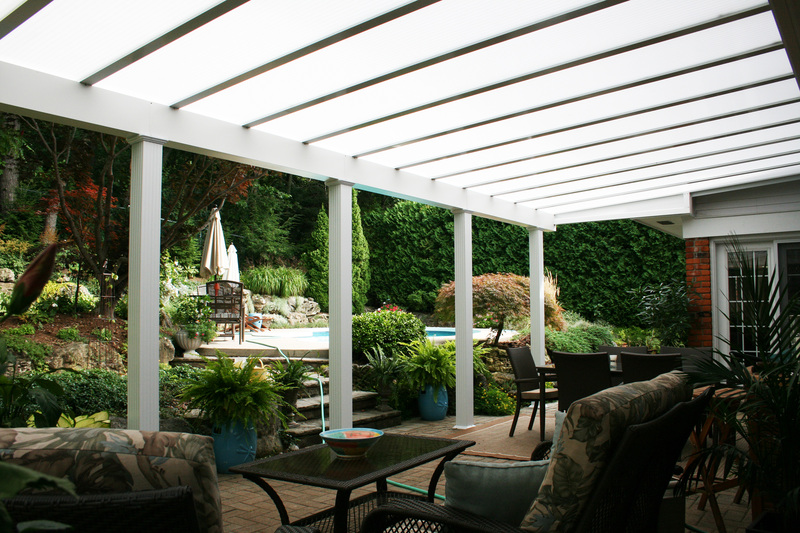 Given its durability, this is a popular patio cover option in Toronto, Hamilton and the Niagara region. When your home is wood construction or has wood elements, then our wood frame patio cover is a great design choice. This cover is a hybrid solution that combines a lightweight and secure aluminum frame with wood posts and beams. In appearance, it resembles a classic wood-construction pergola. Whether you wish for a simple outdoor breakfast area, a small spot for your BBQ, or an open-concpet dining area to entertain, our Lumon patio covers are a great investment. We take your vision of your outdoors, and create it. Get in touch with us to discuss budget and pricing, our patio cover costs will vary on size. We recommend taking advantage of our free in-home consultation to give you the best price possible. Maintaining your patio cover is very simple, that is one of the many advantages of our products can bring to your home. Having a covered porch does much more than that. Check out more ways you can benefit with these products!